Discussing money can be awkward, especially among Christians. Some assume God’s Word has little to say about the topic. Others are afraid of being judged for how they spend money, or for their debt; they believe how much they give their church is no one’s business. Still others view money as distraction from the truly important things of life. 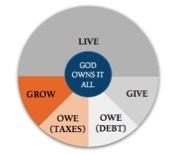 To help gain perspective on this subject, I corresponded with Ron Blue, the author of more than 20 books on biblical financial planning, including the newly released God Owns It All church curriculum [free sample]. Ron has spent more than 50 years in the financial services industry, during which time he helped found Kingdom Advisors, the National Christian Foundation, and Ronald Blue & Co. He currently serves as CEO of the Ron Blue Institute. In this interview we learn how money is both a revealer of and an entry into the heart, why it’s hard for Christians to view money as part of discipleship, how pastors should teach about finances, and more. You often say money is a “revealer of the heart” and “entry into the heart.” How so? I like to use the analogy of a window and a door here. When I say money is a revealer of the heart, I mean it acts as a window that we can look through to see the deepest desires of our hearts. Likewise, when I say money is an entry into the heart, I mean it acts as a door that, when opened, releases our hearts to find freedom, contentment, and joy in our finances. Jesus said, “Where your treasure is, there your heart will be also” (Matt. 6:21). The things we spend our money on are the true desires of our hearts. By using money to look through the windows of our hearts, we can identify our true desires. Then, when we allow God’s Word to alter the priorities of our spending, we open the door to our hearts and begin treasuring things beyond our stuff. Changing the flow of our money will change the attention and loves of our hearts. I often tell people that if you show me your checkbook, I can show you your priorities. This is the window. If we take the next step and allow God’s Word to shape our priorities and enter our hearts, we can actually move our hearts to treasure new things. Changing the flow of our money will change the attention and loves of our hearts. Why is it hard for Christians to think of financial stewardship as an aspect of discipleship? If we define discipleship as helping each other become more like Christ, it seems bizarre that Christians would separate their finances from discipleship. Finances are something we all think about on a daily basis, after all. Still, many Christians want to separate any discussion of money from their spiritual lives. I believe this happens because most of us get suspicious when a church starts talking about money. We think, This is my money; mind your own business. If we define discipleship as helping each other become more like Christ, it seems bizarre that Christians would separate their finances from discipleship. But this mentality arises from a failure to understand that all that we have is God’s, including our money. Psalm 24:1 says, “The earth is the LORD’s and the fullness thereof, the world and those who dwell therein.” If everything we have is God’s, then we are stewards of his money (not ours) and we’ll have to give an account to him of how we used it. Understanding this concept of stewardship should lead every Christian to pursue growth and discipleship in their finances. A right understanding of ownership often corrects the myth that finances and discipleship should be kept separate. In fact, it will drive us to seek out discipleship and accountability in our finances. 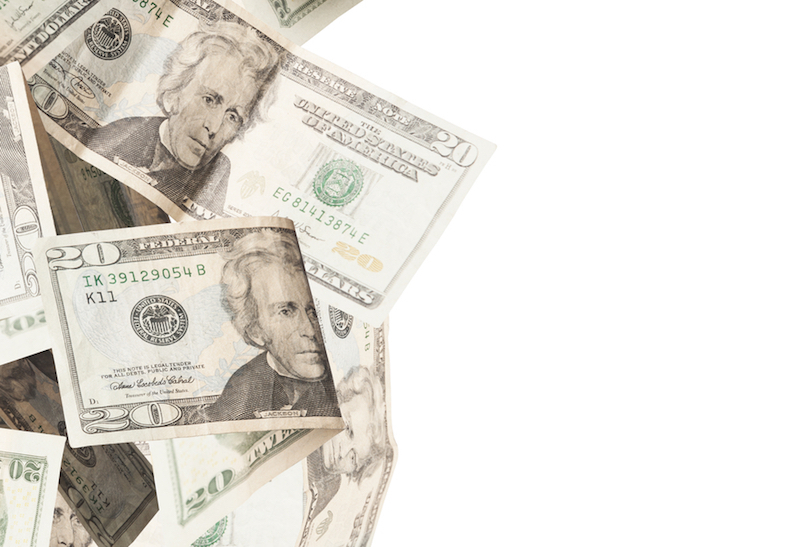 What’s the most important thing pastors should teach their churches about finances? Teach them what Paul said in the greatest support letter ever written: “I seek not what is yours but you” (2 Cor. 12:14). Teach them that the reason they need to know what the Bible says about money isn’t merely to meet the needs of the local church, but to become free from the hold money has on their hearts and lives. Money is a cruel master. The Bible has much to say about it—more than 2,300 verses are about money, and 16 of Jesus’s 38 parables deal with it. Additionally, much of what is written about money warns of its dangers. Ecclesiastes 5:10 says, “He who loves money will not be satisfied with money, nor he who loves wealth with his income.” Yet despite all of the verses and warnings, most of us tend to believe that if one person can handle the trappings of wealth, it’s us. Well, we can’t. If we allow money to become our master, it’ll lead to fear of loss, resentment in our families, and ultimately a despising of God. . . . Money will never relent in its pursuit of everything we value. The only way I’ve seen people avoid the trappings of wealth is to hold their money with an unflinching open hand. These people are radically generous with their wealth; they know if they’re not, it’ll end up mastering them. Luke 16:13 tells us that we can’t serve both God and money, that we “will be devoted to the one and despise the other.” If we allow money to become our master, it’ll always lead to fear of loss, resentment in our families, and ultimately a despising of God. Money will never relent in its pursuit of everything we value. Churches must teach that the only way to experience true freedom and contentment in finances is to become extravagantly generous just like our Father: “For God so loved the world, that he gave his only Son.” Talk about extravagant giving! Churches should talk about money not because they need it, but because people need freedom from its dangers. How can Christians save for the future while also trying to increase their giving? The only way to increase giving and to save for the future is by establishing priorities. To set priorities, we must understand there are really only four ways we can spend our money. I call them: “Live, Give, Owe, Grow.” Most people begin by allocating their money to the “Owe” category by paying off debt and taxes, then they move to the “Live” category and spend on their lifestyle. Finally, if there’s anything left over, they look at “Give” and “Grow” (giving and saving). On the other hand, the Bible tells us that the most productive uses of our money are “Give” and “Grow,” the required uses of money are the debt and taxes of “Owe,” and only after these are taken care of should the “Live” category be considered. By taking stock of our priorities, we’re able to see how every spending decision affects every other decision, and we’re able to make decisions based on previously determined goals and objectives. Money and Contentment from Ron Blue Institute on Vimeo.